Monday through Thursday: 8 a.m. to 5 p.m.; Friday: 8 a.m. to 4 p.m. It's a new, global era for commerce, one that demands change and innovation. 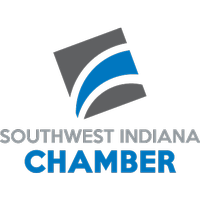 The Southwest Indiana Chamber is responding to those challenges by ensuring that we continue to lead change and to promote innovation. We're located in downtown Evansville, near the corner of 4th & Main Streets and in Mt. Vernon at 915 E. 4th Street.